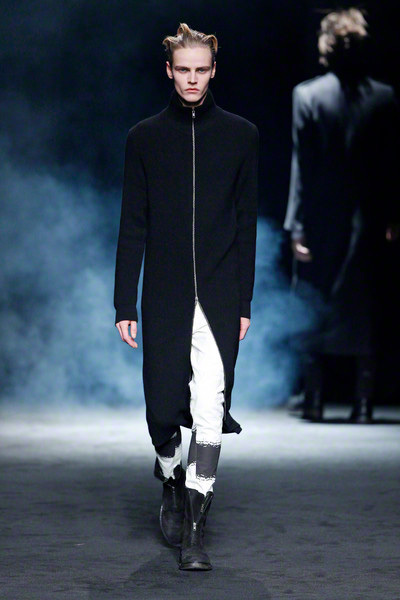 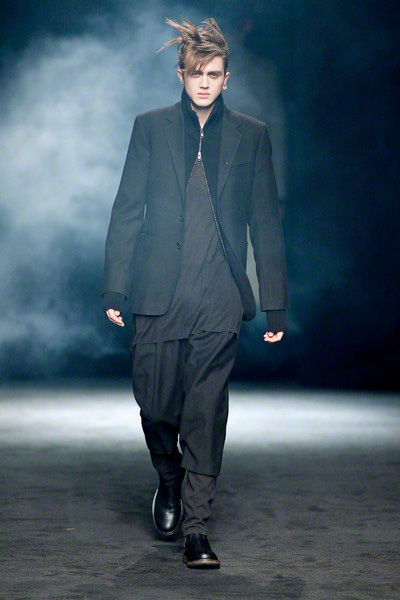 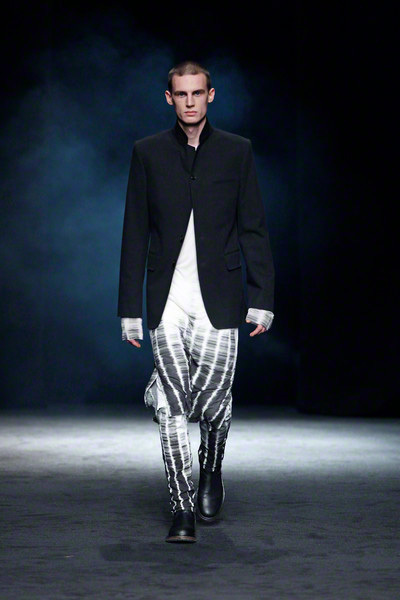 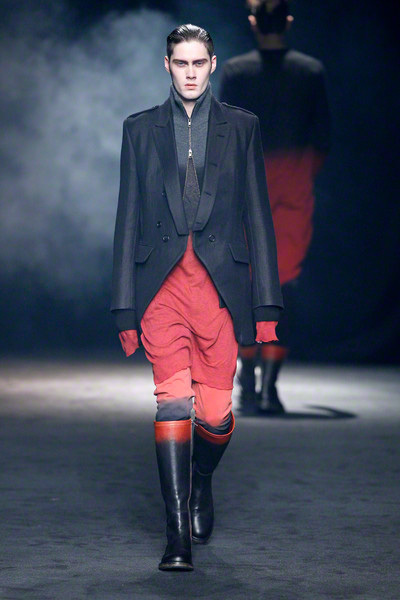 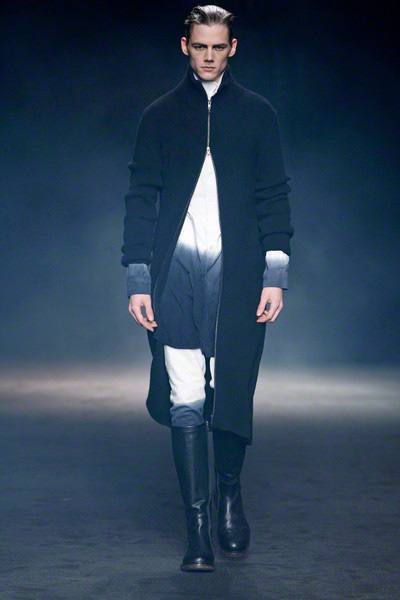 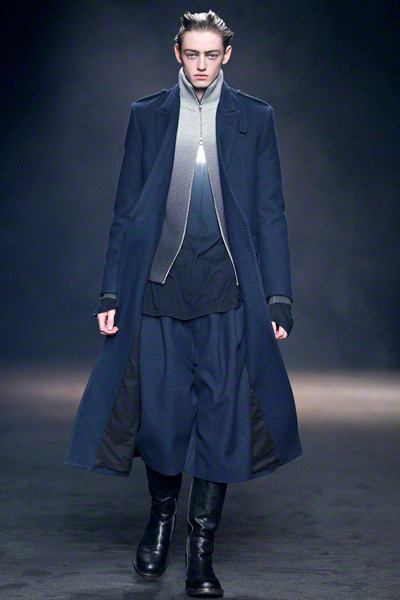 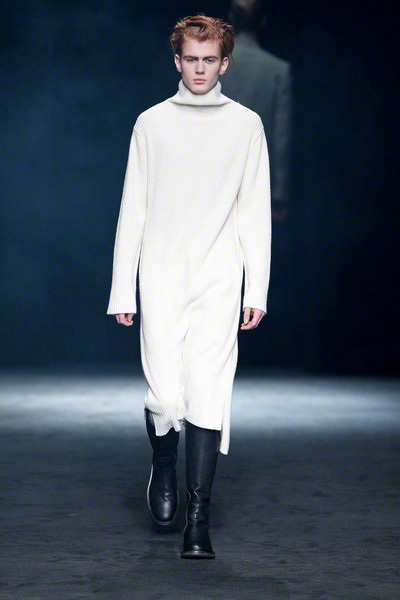 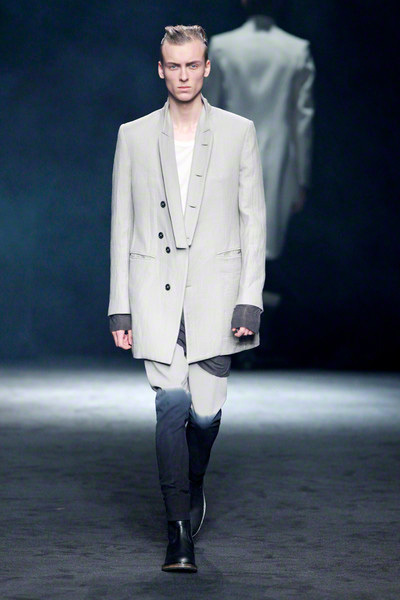 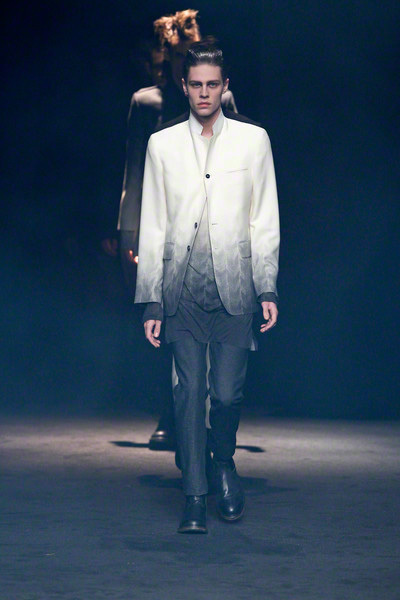 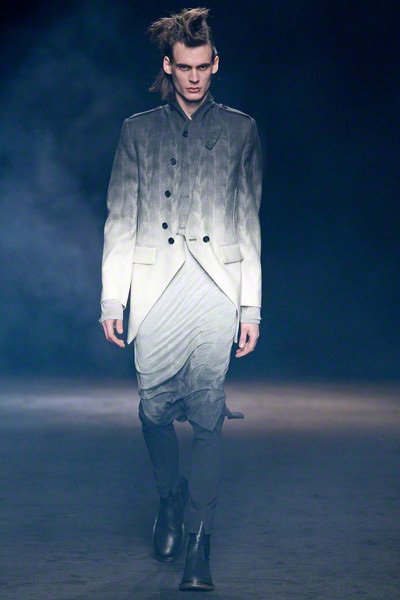 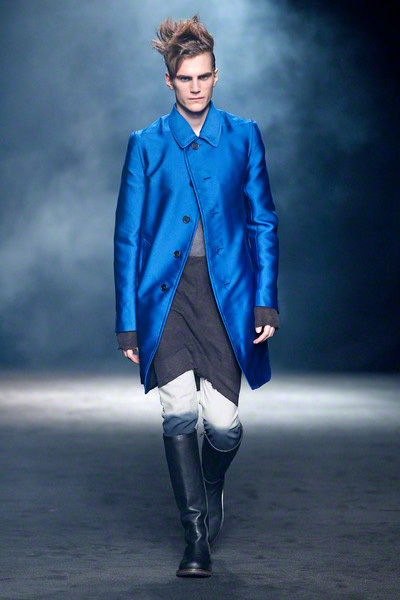 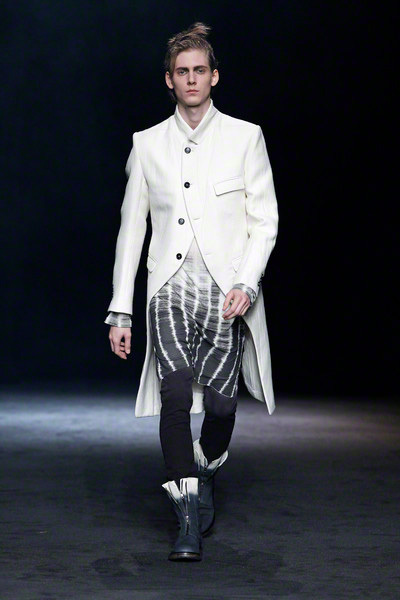 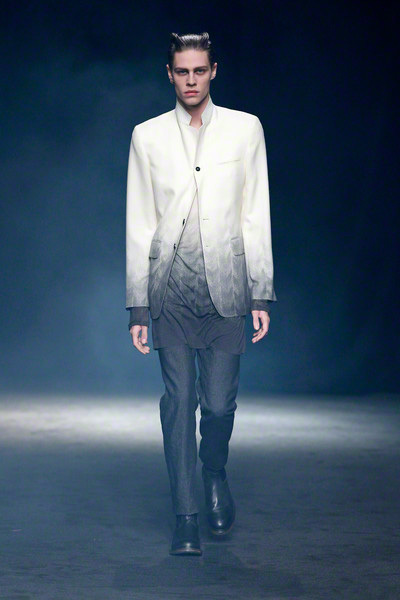 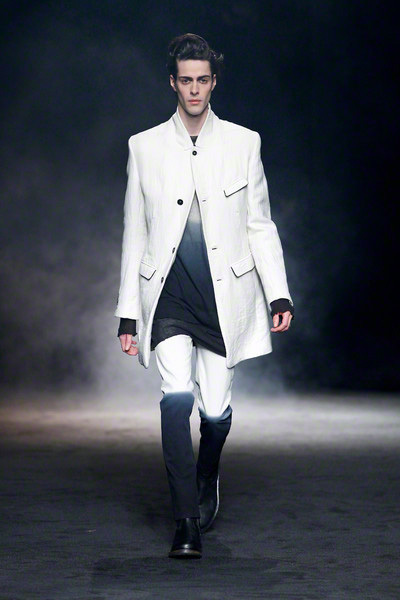 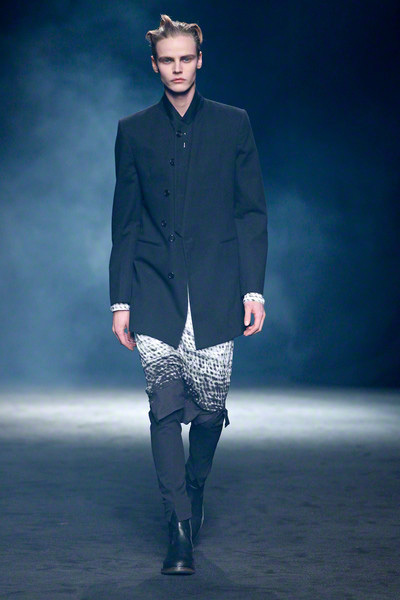 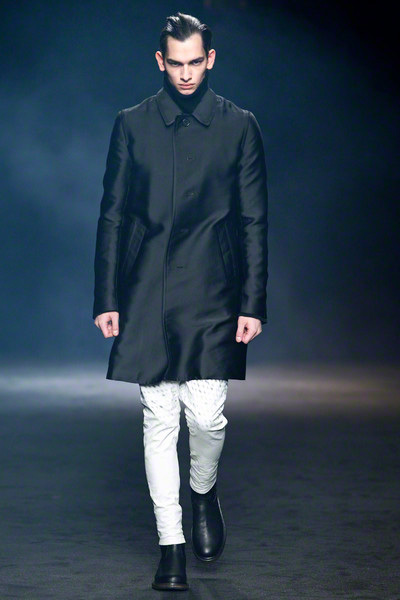 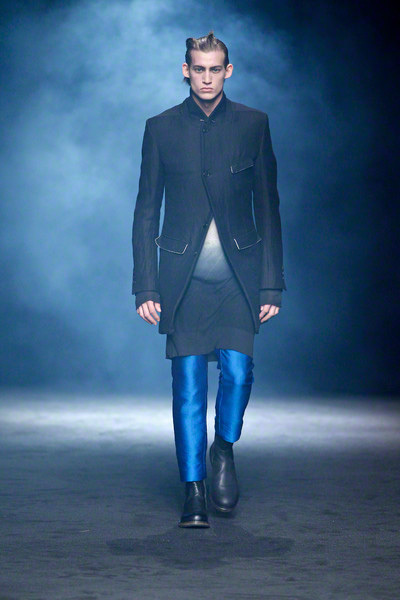 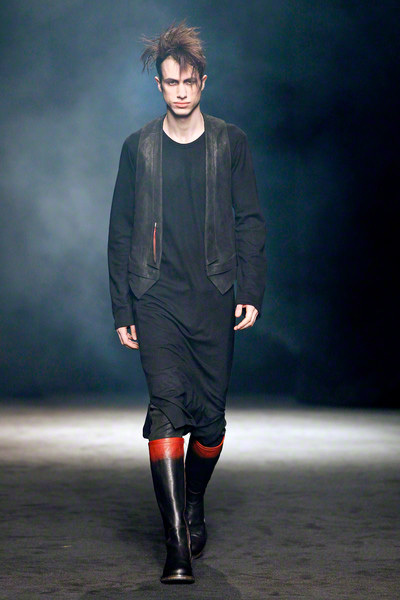 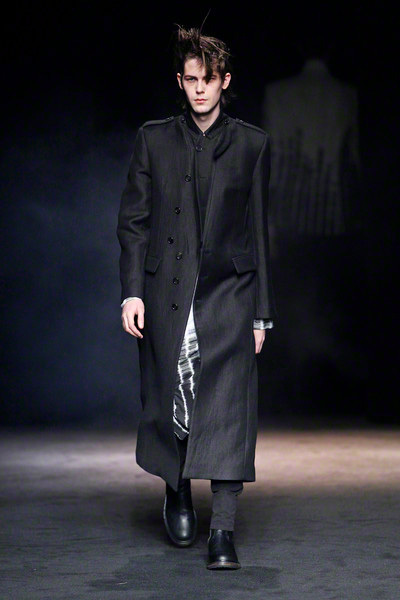 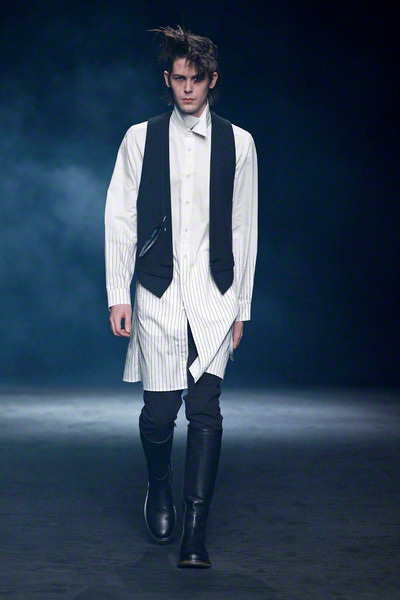 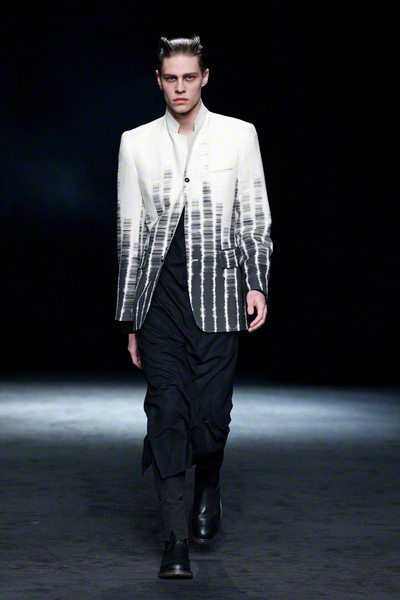 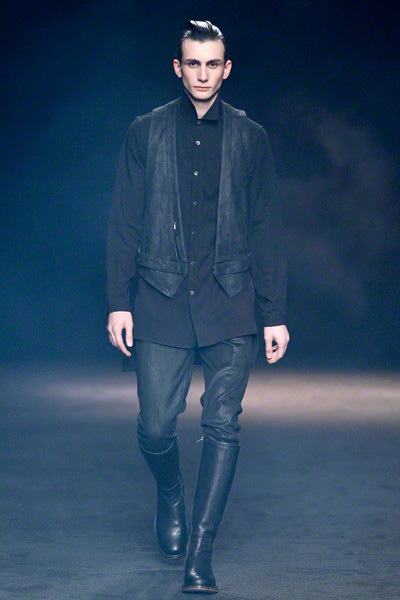 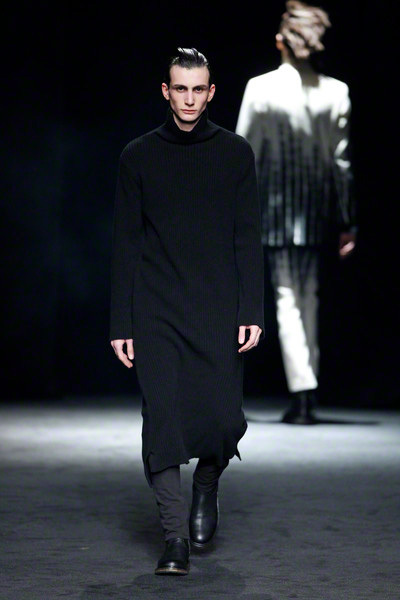 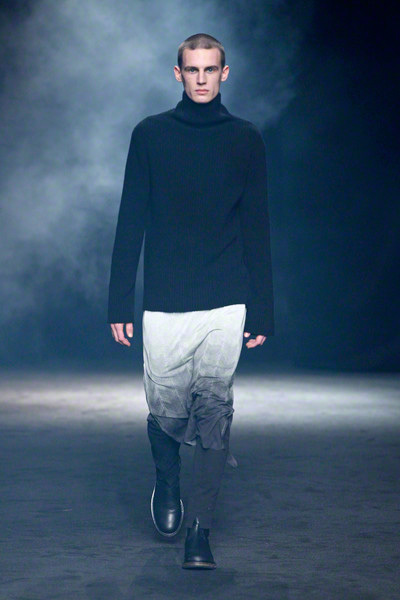 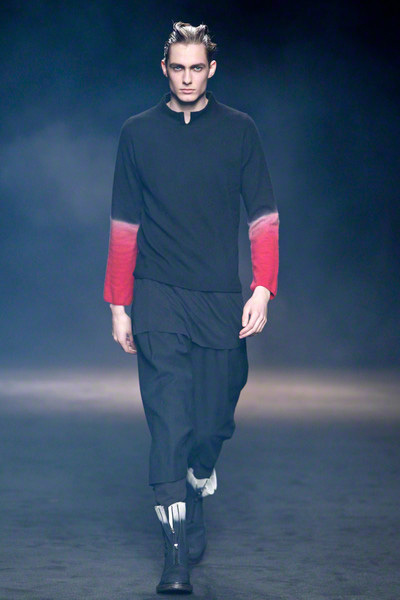 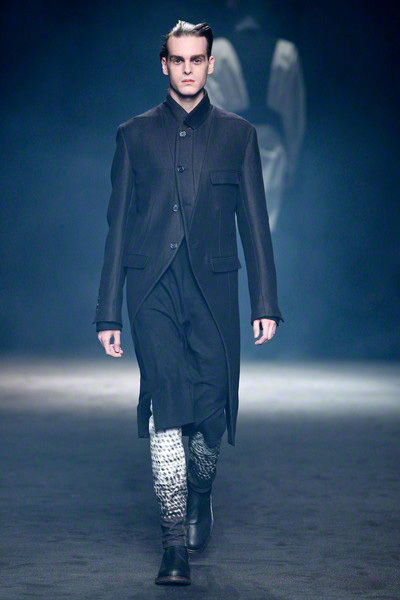 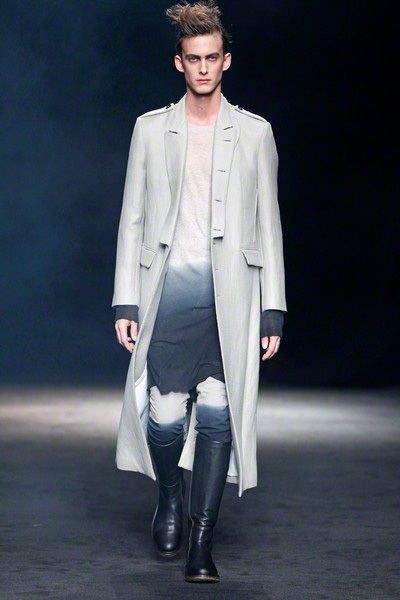 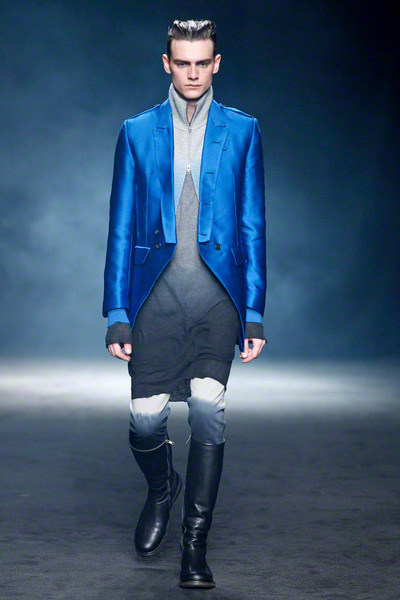 Ann Demeulemeester introduced a new silhouette with new proportions for men. 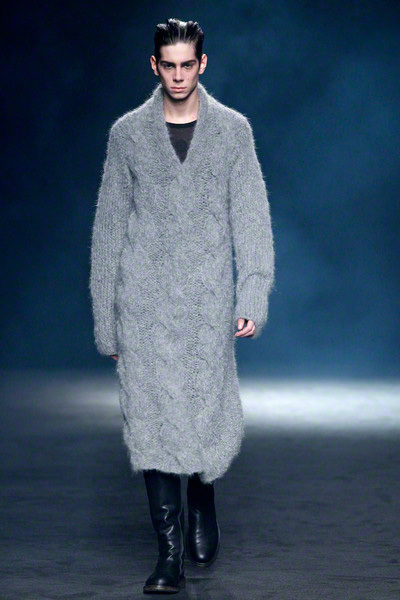 Long shirts, long coats and long wollen jumpers all felt very ‘dressy’. 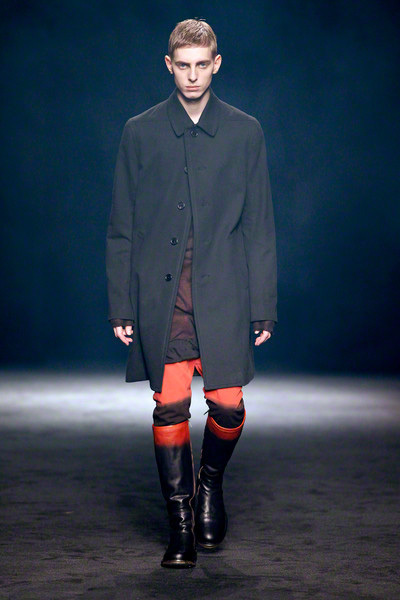 Combined with long boots it made the models look static and strong. 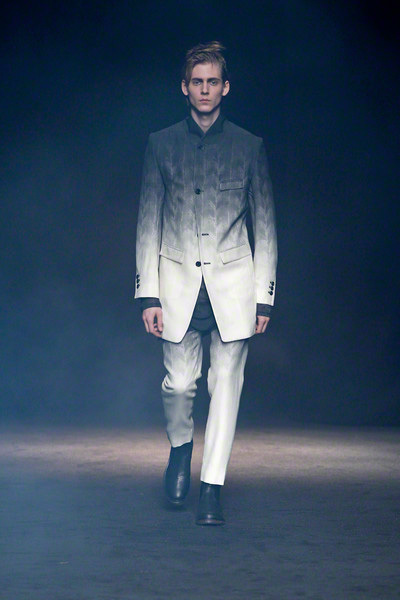 Luckily there was some room for fun as well. 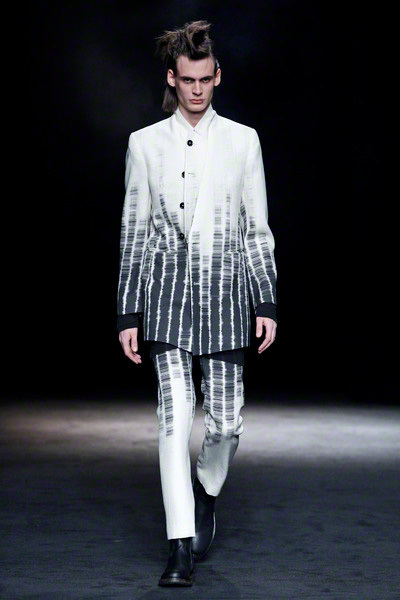 Ann came up with some kind of tribal, batik print and used degrade designs throughout the whole collection. 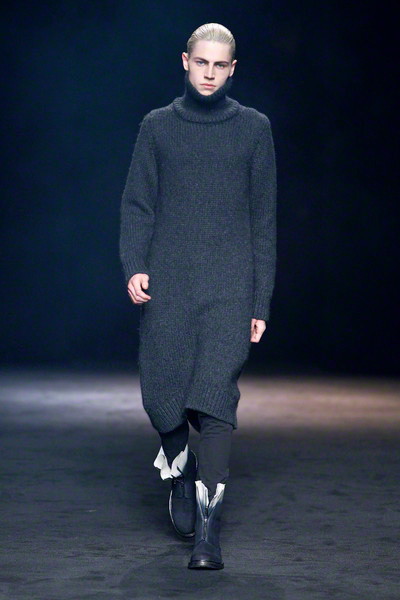 The mostly came in hun significant shades, black, grey and white. 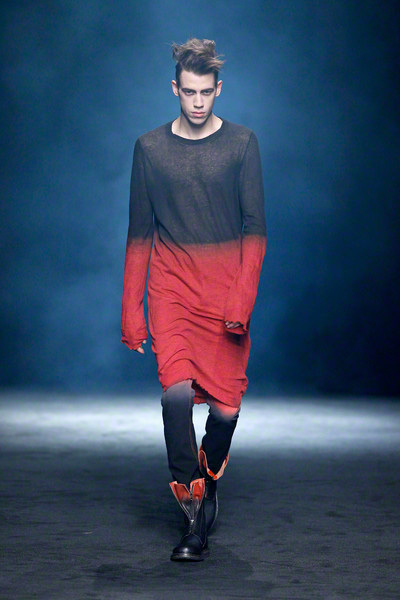 Yet also a touch of red and blue was added in the mix.